Relevant Medical History: Heavy illegal drug user throughout teens up through 20 years old. No other known issues other than mild seasonal asthma on occasion since living in Oregon. I’ve been told by doctors that my blood pressure is a little higher than average but never anything I’ve been given medication for. I simply attribute that to my bad lifestyle the last 6 to 7 years, weight, and career stress. No other clinical issues. Present Medical Problems: None presently. State of Mind: Focused, determined, a tiny bit hungry especially when seeing others eat, full of questions and eager to get answers. Limitations: Inability to take breaks from work to just rest and heal so this must be done under my normal work lifestyle and I’m concerned it is far from ideal for maximum results. Thank you for getting my progress report online so quickly. I have been scouring the site for a few days off and on between work since I read a couple of your books. I apologize in advance if I end up asking too many questions in a single post. There is so much information here and I love it, but it can also be intimidating as you start wondering which things you may and may not be doing correctly for the best experience. I’ve just woken up on the morning of day four of a juice fast / diet. The first couple of days were a breeze but yesterday I wasn’t feeling too great and today I definitely feel pretty weak and light-headed. Certainly not what I think I’ve been reading from others as far as a “crisis” is concerned. What I’m worried about is whether I’m not pushing it hard enough and need to step up my game some. Just a bit over a day before I began the fast on Sunday, I went to my favorite local co-op and bought a bunch of organic produce in more of the leafy green variety (things I might not buy too often) like kale, cabbage, collards, parsley, and some beets and carrots. I’m terrible at the concept of recipes and don’t want to waste vegetables I’ve started cutting up as I don’t want to waste nutrient value where possible. Also, the price of organic produce can be brutal so I would just grab a bundle of kale, several carrots, maybe a stalk of celery, a couple of apples and just juice that up. Not super tasty by any means but it was just about getting it done and having the quantities that I thought I would need. I was thinking I needed to hammer mostly leafy greens that were highly nutritious. I’m still wondering that, actually. The reason I ask is because I also worked until 9 PM on site for a customer and didn’t have enough juice for myself past the middle of the day mark so I just started drinking water when I was thirsty / hungry. When I woke up in the morning, I was definitely weak and a tad dizzy. I knew I had to start cutting up a cantaloupe before it started to go bad so I juiced the whole thing. I think the entire cantaloupe created probably close to 8 cups of juice on its own. Unfortunately or fortunately, depending on the outlook, that juice was ridiculously good and I was immediately energized. I probably drank too much as I think I put down just under a half a cantaloupe worth of juice. I did end up finishing the rest off throughout the day. The first couple of days on the fast with the leafy green juice, I just didn’t feel any negative effects so I’m wondering if I’m not hindering my cleansing process by taking in too many nutrients. Normally, I could imagine you saying this is fine and to listen to your body but my concern is that for the last 6 years or so, I’ve worked in the Information Technology field as an outsourced consultant for smaller customers without internal IT staff. So, I haven’t been active at all during that time other than a few short-term and failed attempts at trying to get started on a mild workout routine. With all the sitting around and no active lifestyle, I have no idea where I stand metabolically or how many calories I need. It makes me wonder if I need to cut down the juice, even when it is highly addicting like the cantaloupe juice, and do more water. I might try a walk today and am thinking of going to pick up some cayenne pepper capsules or something to make sure and spice up my metabolism. I’m not saying I’m not losing a little weight, but I want to make sure I’m kick-starting my body into new action as this is a lifestyle change for me. I went vegan about a month and a half ago and that felt amazing already and have been interested in making a raw food vegan diet work down the road, perhaps even after this fast. Here are my other questions now that I’m done with my initial babbling. 1.) Can you provide me a list of possibly critical / ideal natural supplements I might want to be taking? I couldn’t really get a clear picture of what was ideal reading your book or checking the site. 2.) I bought a Green Start Elite twin-gear juicer (I know you don’t like these but I got it before I read your book) and while it is certainly high quality and extracts a ton of juice with very little pulp, many things I juice produce a lot of foam and if I use the strainer on it, that stuff gets caught but it’s a lot of extra work to strain it after juicing. Am I doing the right thing by straining it or should I not sweat that? 3.) Do I need a large mix of juices throughout a single day or can I do like I did yesterday where I had so much cantaloupe juice, I didn’t want to waste it by leaving it for over a day? Can I just drink one kind of juice or whatever I made that morning until it is gone or do I need a wider variety in a single day for more nutrients? 4.) Is it normal that I haven’t really had much of a “crash” yet or is it possible my calorie requirements are so low that even a day with 4 to 5 cups of juice is too much? Was it a mistake to drink an entire cantaloupe worth of juice yesterday? 5.) If chewing say a completely natural gum that has caloric value is not recommended, why are natural breath mints potentially better for bad breath during fasting stages? Is it simply the chewing effect that kicks up digestion and not what you are swallowing alone? 6.) Are sweeteners like succanat and crystal natural sea salts really okay to put in juices if I’m trying to keep weight loss up and steady? I assumed these were not but I’ve read in your book and listened to the audios on the site and it appears to be fine but wanted your take from a weight loss and greater cleansing standpoint. 7.) If you end up telling me I need to do more water than juice for my goals, do I need to be more concerned about hair loss? I hate to sound so superficial, but my hair is already on the thinner side and I just don’t think I could stomach going more clear cut bald on top of how I feel about myself physically these days. Any suggestions? 8.) This ties into an earlier question but do I need to be concerned about vitamin deficiencies just as much now as I should be when on a regular food diet? Do I need to be stressing about daily intake of B12, getting enough sun for Vitamin D, etc, etc, etc.? I know this is an epic post and I’m sorry to everyone who reads it but I just think getting some active support from people who have been there is the smartest thing, especially if I start to become discouraged and feel an urge to quit. I feel like I have learned a lot so far but I always like to dig a lot deeper in all things I study. I appreciate you having this site and forum available for those reasons. 1 The supplements needs work and I run to the edge every day. Going to the bathroom is a luxury. I really should not be spending this much time. So excuse if this answers are curt. vit e, B complex, essential oils like a flax hemp mix. Q10 is good, spiulina, cider vinegar, blackstrap mollasas and any other healthy supplement you want to take. 1. Listen to your body and drink what it needs. 2. Better to stain. Less fiber less hunger. 6. Weight loss is about calories and demand so succanat will boost calories and crystal natural sea salts are okay to put in juices. Hi Jesse, I will try to pick up where Tom left off! To start, NO GUM! Of any knid. It stimulates saliva, which stimulates digestive juices and ie, acid. You are over thinking on the juices. Remember FASTING is the thing here that helps you. So, stop worrying about what you put into your body. Your body will clean and heal better with less going in. Supplements, as many other things you mentioned are fine in moderation. Too much will give you diareria, or constipation. You want to feel like you are exsisting on the least amount of anything that is being put in your body! The bottom line is that “fasting” is the focus, and everything else is just to survive it. The “things” you are consuming during your fast are to fuel your body’s work! 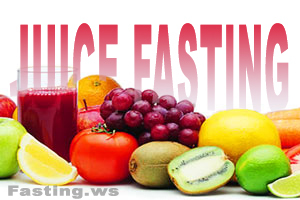 If you just switch back and forth between water, and some good juices during your fast that will be sufficient. And Tom is right about pulp. It has a negative effect during fasting. Your stomach will be growling at you constantly! Not to mention you will crave clear juices as you go deeper into a fast. Or you won’t want any juice at all!! I realize that you want to be totally informed, and correct. But, moderation on any juice or supplements are key! Enjoy your fast!! You could do very well just juicing Apples & Carrots! They have EVERYTHING you need without adding a thing! Awesome information guys. I do tend to over-think most things so I hear you on that point. Part of me said it doesn’t have to be precise and not to worry about it, but something had me wanting to make sure I wasn’t potentially hindering progress and better results by missing some key things. The good thing is that it is now the morning of day five and I don’t even feel particularly weak or needing juice to have enough energy to move…yet. Yesterday it was rough and a very weak day waking up and in between juice consumption. Maybe I’ve crossed over that hump of feeling hungry. Thank you both so much for taking time you probably don’t have to answer my questions and most of all for simplifying what I was worried might be more complicated. I could certainly save myself some money with a smaller array of vegetables and fruits I’m buying if I could get by on many days with just carrots and apples. I think transitionally I’ll still drink some juice but try to cut down unless I’m doing more physical activity. Since I’ve been feeling like going on some long walks, I may need juice then. One thing we didn’t cover that was a concern for me was the hair loss thing if I do use more water than juice. Was I being neurotic there or should I be on the lookout? Again, thank you both for your responses. It means a lot that you could take the time to answer me. Hi Jesse, No problem at all answering questions! We learn from each other. You have come up with very good questions that I’m sure everyone here (including me and Tom) will benefit from! As far as the hair goes. I have too much! LOL…But it tends to dry out, and shed. During a fast I noticed it softens nicely, and hardly sheds!! Because I’ve fasted many different ways over time, I can only attribute it to FASTING! Which is very cooool. My wife Libby, is a great nurtitionist! And she says Flax Oil will help your hair. And that is one of the only supplements I use during a fast because the omegas are not in many things. A & B vitamins, as well as Lecithin (in soy) are beneficial. Also Saw Palmetto blocks testosterone (linked to hair loss) production, and helps with thyroid (also linked) like Flax seed. Iodine-rich sea vegetables like kelp to your diet helps boost thyroid function and supplies minerals needed for proper hair growth. You can juice kelp and sea veggies (if it’s fresh), but need the arbor type, press juicer. And it don’t taste very good juiced, so add a lot of other juice! Kelp is also avaiable as a supplement if you can’t find it fresh. If you eat vitamins during a fast, use one at a time, and try to find liquids if possible. You can get all the vitamins you really need from dark, leafy veggies, bright orange and yellow fruit juices!! I was a mechanic for awhile in my younger years. And a “wise old” fellow mechanic once told me: “change one thing at a time, or you will never know what worked!” I use that advice in many aspects of my life now! We tend to throw everything…including the kitchen sink at a problem. But that doesn’t always help or give us “the” answer we need! Get some Flax to start! The soft gel caps from a whole foods supplier, and take a few every day. You can also test each change you make and see what helps! That also will be a nice diversion for you during a fast! I always try to occupy my fast with some lively experiment to avoid boredom, temptations and just to feed my brain! Keep in mind though, the best single thing you can do besides praying…is Fasting! Excellent information as usual, Ron. I can’t describe how much I appreciate the thought and input. Thank your wife, too! I’m going to try to avoid taking a bunch of supplements based on our previous conversations of focusing on fasting and not wanting to weigh myself down with a bunch of them. It does sound complicated and if it doesn’t have to be, I’m perfectly happy with that. I simply didn’t want to limit myself if there were more gains to be had by getting complicated. As far as going the oil route, is it better to go with supplemented oil and does the oil need to be limited to one kind or could I use a healthy blend like the Udo oil mix at popular health food stores? I thought maybe the blend might be nice because of the addition of some balanced amounts of vitamins and lecithin all in one source while fasting to keep it simple. Any thoughts on that? I’m not familiar with the mixed oils. I don’t see a problem. Just make sure it’s cold pressed. And watch your amounts. I get indigestion if I use too much. And it’s worse with vitamins! They just sit in your stomach. It definitely is. Very interesting product and doctor behind the oil but now it’s fairly common in health food stores and even at strict vegetarian co-ops like where I shop. Obviously I’m no doctor but reading thoroughly through his site and about the product makes me feel very good about it. Whether to use it during the fast at all was the bigger concern which you again answered. I am probably not correct on this but I generally feel better about drinking or eating something for vitamins rather than a pill because I have always believed we were more likely to pass the contents of pills more than things that are already open and activated upon putting them in our mouths. Maybe it’s different with soft pack pills and gels with easily dissolved capsules around them. I don’t know. I love the herbal teas and need to go pick up some more good ones. I’ll avoid the Senna bowel exploder. Hahahaha. Hi Jess, I’ve had very unpredictable results from vitamins during a fast! They may sit there…or run through you like a freight train!! That is why I generally stay away from them. Sometimes I will use one (1), or very rarely two, for purely therapeutic reasons if needed when fasting. But also, waiting 3-5 days in a fast will just as easily get rid of an ailment. I can’t tell you how many times I debated myself (for several days) about taking a supplement during my fast for some “problem”. Only to have the problem disappear!! So give fasting a chance! And first preference. In biblical times, that’s all they had! And it worked then too! Definitely sticking to it and I haven’t bothered with any vitamins. I just added a little of that oil today in hopes I can protect my hair. LOL. Out of curiosity, after ending one fast, how soon can you start another? I’m not at dying to do this repeatedly for “fun” but I am interested in finding out just how often you can or should as a general rule of experience by others. Can you finish a fast and get going on a very mild eating / juicing routine for a couple of weeks and then jump into another fast or does your body need more transition time? Hi Jesse! No rules!! That’s the joy of fasting! If after 40 days of juice fasting and I’m still feeling fine and have plenty of obvious body fat present, can I just keep going or is there a point (other than your body telling you to stop) where you should just break it regardless? Maybe it is nothing, but I’m finding I’m thinking a lot more about food now 23 days into this than I was at any other point during this process. Is this most likely more related to cravings than need? Could my body simply need more juice than what I’m giving it? Currently I’m only making juice once a day and it’s anywhere from maybe 8 oz to 10 oz and drinking it all then. I don’t intend to quit, I’m just wondering if this is pretty normal if I haven’t had these feelings much at all since I started. Also, if it is normal, what sorts of things work for others that are hitting these moments? How do you deal with cravings? Any wisdom out there to impart? Hi Jesse, Cravings are a part of it! I used to have them early in my fasting career. You may just be at a plateau. Stay focused, it will pass. P.S. Enemas are good for stopping hunger. Also, something hot like broth or herbal teas helped me. And of course distraction of any kind! I am a guitarist/musician which helped. But anything like a walk, a workout at the gym, a drive to the beach etc. and helping others who may need a hand will work too! Thank you Ron and Marianna. I really appreciate the comments and thus the support. I think this would all be much tougher if it weren’t for people like you taking the time to fill in some of the gaps that some newbies like me can get caught away with. While there isn’t really one pure and direct step-by-step process or exact science to this, I appreciate that there is experience and some guidance on the parts where I find myself wondering if it’s just me in this situation or that or if others go through many of the same things. I just know I can come here and ask a question and someone will have a thoughtful answer. Thank you for being there when you could be doing more important things for yourself and your families. So, one question for the night / day, depending on where everyone lives. Based on the very helpful suggestion by Ron about enemas helping with cravings (go figure), I’m wondering if there is a problem with more frequent enemas. Based on Tom’s book and some posts, I only did them daily for like the first 5 to 7 days. After that, I have usually done it like every other day at the most frequent and up to 3 days when I’m lazier. Is it a problem for me to do them daily, even though I really don’t enjoy it? I usually feel a little like my body is expecting it daily and by that 2nd day when I finally do it, I usually feel overdue. Any advice on how much or how little I should be doing this as a guideline or is there really no rule on enemas per say during a fast either? I think you are on track. Enemas have greater value at the start of a fast. There are no rules, you have to find what works for you. For cancer and chronic disease, daily enemas help in recovery but those persons are toxic. Hey Jess! Thanks for the compliments. We know what you are feeling and want to help put away some of that fear and doubt. It’s nice to know you can get an answer to questions and not feel alone. I’ve been there! Thank God for Tom and this wonderful site! I got back my health and a new spiritual awareness. This is the least I can do. I’ve also started a ministry of sorts in my area. I have several people “now” fasting and praying together! It is so great! The Lord has answered our prayers, and done many miracles. On the enema subject… I usually do them frequently the first week or so of a long fast. And then maybe every 3 days thereafter. If you had a toxic diet for a very long time you may want to do a salt water flush (swf). This will take care of the upper part of your colon and intestinal tract. It is not pleasant, but very thorough! And you must restore your good flora (probiotics) in the intestines after your fast! That is important for your digestion and guarding against bacteria and disease. So…I’m on day 37 and things have definitely been a bit different post 30 days than maybe I expected. I’ve definitely noticed a larger amount of fasting symptoms than I did during the first 30 days. That’s no big deal but I was wondering a bit about the change in feelings overall. I definitely notice a fair amount of boredom with juicing like I’m not looking forward to it as much or feeling as much satisfaction when doing it. I think I’m not helping that situation by juicing a lot of the same things all the time so I’m fully prepared for someone to tell me I need to make more of a variety to keep it interesting so if that truly does help, I’ll obviously try that but if you have other advice, I’d be happy to hear it. It used to be that I’d have any type of juice and I didn’t really feel any trace of hunger or much of a craving all day. I start having that empty and bored and kind of lightly sick feeling in my stomach the second half of the day. I could juice more but it doesn’t sound good. Whatever the case is, I plan to continue but was wondering if anyone had some advice on mixing it up a bit and getting past this hump or if this is a potential sign I’m hitting a brick wall and need to take a break? Hi Jesse, Do you have a goal for yourself? Usually the mixed feelings seep in when I lose my sense of direction spiritually. You need to renew your sense of purpose for fasting. I also, have certain habits when juicing. The “good” ones include different types of liquids depending on the time of day. I use Aloe Vera juice in the early morning, followed by a citrus in the late morning. I have a protein smoothy before my workout in the afternoon, water during and a veggie juice around supper time. Later in the evening I have herbal teas of every kind known to man…and use whatever as a remedy for any perceived illnesses that I may have. I also use some strained or clear (store bought) veggie broth when I need a hearty feeling in my stomach. Sometimes I’ll just water fast for a few days until I regain my appetite for juice again. Thanks for putting it in perspective. It is very reasonable and I’m glad it’s not some sign of anything but personal resolve weakening. I’m only drinking about 12 to 16 ounces of juice in the mornings because I got tired of taking any with me during the day and making it multiple times a day. Since I had a goal of losing weight, I was trying not to overdo the amount of juice I was drinking a day. I figured a decent-sized glass a day was good enough. You’ve made it to a point in your fast (37 days) that you really don’t need to second guess yourself. The only way you won’t keep losing weight is if you are totally sedentary and you are drinking banana and avocado laden drinks all day long! At this point in time it is only the “amount” and “speed” of weight loss you will have in your (40+ day?) fast. Keep in mind that you can also have periodic fasts to maintain your weight. And to lose more weight at some point in the future if you so desire. Remember, you are the master of your fast. You can use it as necessary. I have found it to be a very valuable, meaningful essential to my daily life. The thing is, you have to really dig deep inside “while fasting” to achieve the answers. No one (including me) can get that for you…or really explain what it is personally to find it. The only way is to do it! It might not come during a first fast! I fasted for years before I found that moment of realization. But, there is no denying it. At least for those who get there….Funny thing is the actual “feeling” I had, is long gone….BUT, the spirit of that change remained. And it will remain for my entire life. I don’t want this to sound too dramatic because I really do want advice, if there is much of an answer. The whole time I’ve fasted, it wasn’t particularly hard overall until I crossed about 34 days or so. The last several days, I’m REALLY experiencing that terrible coated tongue, terrible taste in my mouth, and my sense of smell is killing me. My tongue basically makes the inside of my mouth feel oily and the taste is similar to what I smell more often than not (hard to describe but I would interpret it as maybe the distant smell of sweet onions or something). I say that about the onions because I found at points in my house that I had onions in a bowl on the counter and garlic and the smells were really bothering me. When I tossed them out, it wasn’t bad or was mostly gone. Now just about anything sets me off. The smell of vegetable and fruit pulp from my juicer that I haven’t taken to the composter, etc., etc. The taste in my mouth drives me nuts and the smells I often pick up make it worse and I just feel nauseous all the time. It’s like I’m going moment to moment trying not to throw up or gag. I thought maybe the taste was from my VERY natural toothpaste and mouthwash as they are all alkaline balancing and remineralizing types that taste soapy and salty. I tried another toothpaste today that is good tasting and it didn’t change anything so I know this is all coming from me, whether it’s from what I smell and taste or something else internally that is part of the fast. I certainly want to see if there is a way to make this a little more livable. Does anyone have any advice? To reduce the taste and coating on the tongue brush it a few times per day with a toothbrush. A twig of parsley will stop bad breath just chewing on it. Is it highly likely that I’ll get sick eating typical whole foods to break the fast or do some people do okay with it? I know it isn’t the recommendation but I was curious. Also, if I go the soup route, are most of them okay or should I keep them not very “substantial” or rich like avoiding things like say stew, chili, and chowders? Stick w/ soft fruits the first few days. Then some veggies, and salads. Stay away from nuts and grains for the first week or more. You want to nudge your system awake. Yogurt should be consumed for the probiotics. After the first week watch what you are eating. Some foods may give you trouble, with your state of detox. There are some processed and cooked foods I can no longer tolerate! Just test something that you feel might give you trouble. After awhile you will not crave the crap anymore…It just makes you feel like…well…crap! I suggest fasting again soon after you finish this one. Like within a month. This will keep you centered, and stop you from “slipping back” into your old ways!